Good oral health is one of the essential components of good overall health. Oral surgery is the branch of medicine that deals with the surgical treatment of conditions of the mouth, jaw, and surrounding facial structures. The reasons for undergoing oral surgery are as diverse as these structures, themselves. At the Melbourne oral surgery practice of Drs. Gerald Bird and Jay Johnson, patients have access to a wide range of surgical procedures, ranging from those that restore form and function to the mouth to those that are potentially life-saving. Whatever your oral surgery needs, Drs. Bird and Johnson have the skill, experience, and training to produce the best results possible. 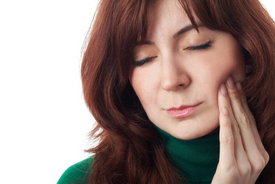 Below you will find just some of the reasons patients undergo oral surgery. Whatever your reason for considering oral surgery, we encourage you to contact our practice today to schedule your initial consultation with our esteemed surgeons. Missing teeth - Dental implants represent the ideal solution to missing teeth for qualified candidates. Dental implants are strong yet tiny titanium screws that are surgically embedded into the jaw bone, where they act as artificial roots that provide unrivaled support for crowns, bridges, and dentures. The surgical placement of dental implants requires careful planning and absolute precision to ensure the best results possible. Insufficient jaw bone mass to support dental implants - Because dental implants are placed in the jaw, the success of the surgery depends on the patient’s jaw bone density. If a patient has insufficient jaw bone mass to support dental implants, a bone grafting procedure can be performed. Abnormal growths and lesions in the soft tissues of the mouth, lips, face, or neck - Such growths and lesions can be cancerous. Drs. Bird and Johnson perform biopsies of abnormal growths and lesions and, if oral cancer is present, can perform surgery to remove the affected tissues. TMJ and bite problems - Patients with bite problems may benefit from corrective jaw surgery. Through this procedure, the upper and lower jaws can be corrected so that they meet properly, making the bite stronger and restoring comfort to the mouth. Jaw correction surgery can also alleviate symptoms of TMJ (temporomandibular joint) disorder, including chronic headaches and jaw pain. Infected tooth roots - Sometimes, infections of the teeth cannot be resolved through root canal therapy. In such cases, it may be necessary to remove the tip of the root through a surgical procedure called apicoectomy. Facial trauma - Oral surgery can be performed to reconstruct delicate facial structures damaged by trauma. Teeth can be replaced, and bones can be reconnected with wires or plates and screws. Pain due to wisdom teeth - When the development of wisdom teeth leads to pain, infection, or swelling, the teeth in question can be surgically extracted. If any of the above reasons for undergoing oral surgery apply to you, we strongly urge you to call or email our practice as soon as possible. Through a careful evaluation of your mouth, we can recommend the course of treatment best suited to your case.